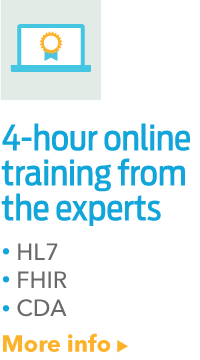 As a healthcare provider, you look for solutions in HL7 that are easy to implement, stable, proven, and efficient. 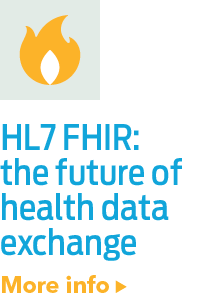 An HL7 engine solution should enable you to utilize HL7 and other healthcare standards comprehensively and to support the most enhanced levels of patient care every day. Corepoint Health offers powerful solutions utilizing the HL7 standard to enable your organization to integrate your most challenging HL7 interfaces using Corepoint Health’s HL7 engine and robust integration solutions. 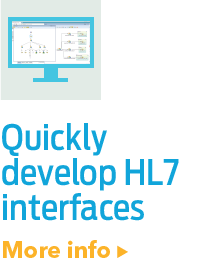 Discover the following 7 important areas to facilitate your HL7 interface implementations with ease and confidence through Corepoint Integration Engine, the highest customer-rated interface engine on the market today. Corepoint Health makes it easy to create derivatives of the HL7HL7 is a Standards Developing Organization accredited by the American National Standards Institute (ANSI) to author consensus-based standards representing a board view from healthcare system stakeholders. HL7 has compiled a collection of message form... standards to meet varying requirements between different applications. With pre-loaded HL7 versions, you never have to worry about writing additional code to alter the HL7 messaging for compatibility with vendor applications. This powerful HL7 feature will shorten the cycle time to deliver robust interfaces confidently. Corepoint Health’s menu-driven mapping feature saves time and reduces errors. Corepoint Integration Engine offers the flexibility to handle non-standard HL7 messages in an efficient and accurate manner. Corepoint Integration Engine is specifically designed with pre-loaded HL7 versions conveniently available for modification as needed. Corepoint Health makes testing HL7 messages a convenient part of the interface life cycle. Corepoint Integration Engine provides robust HL7 testing features by loading test message files and providing the capability to test line item logic or complete interface logic with a few simple clicks. Additionally, users can conduct HL7 conformance checks, getting immediate validation of HL7 messages against the selected HL7 Standard. Combined with the HL7 mapping features, interfaces are built with industry leading resource utilization using analyst-level skill sets for interface development. Corepoint Integration Engine facilitates efficient exchange of HL7 messages in a cost-effective, powerful manner. High volumes of HL7 message traffic or large numbers of connections are robustly handled within Corepoint Integration Engine. For healthcare IT environments that require high availability options, Corepoint Integration Engine has native features to ensure HL7 message flow is continuous. The Corepoint Integration Engine communication wizards enable you to create HL7 connections in a simple, guided manner. Get connected quickly. Powerful features allow you to define the type of connection – bi-directional, receiver, or sender – as well as the communication method – TCP/IPTransmission Control Protocol/Internet Protocol (TCP/IP) is a low-level communications protocol used to connect hosts on the Internet or a network. TCP/IP connections are established between clients and servers via sockets. TCP/IP is stream-oriented ..., File, FTP, and HTTPHTTP (Hypertext Transfer Protocol) is the foundation for application-level communication on the internet. – required to exchange patient between applications and providers, using options. Proactively monitor HL7 interfaces through the web-based administration console of Corepoint Integration Engine. Know in real-time which HL7 interfaces are up or down or require attention. Receive real-time information through configurable alerting features, which will notify the right individuals to your specified IT support processes when issues may be rising. Other healthcare standards and data formats are supported as well (e.g., X.12, XML, etc.). Corepoint Integration Engine delivers flexibility in meeting any healthcare data formats and standards. Read more about Corepoint Integration Engine and its capabilities.